Photograph by Roger Stalley. 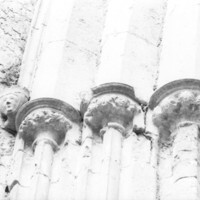 View of crossing capitals on filleted shafts with chamfered arch mouldings. 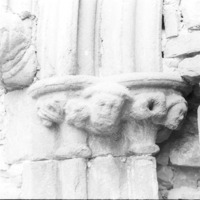 Capitals have human head carvings and stiff - leaf foliage designs. Label stop has female head carving with contemporary headdress and veil.